Good morning, afternoon, evening, and all those things! 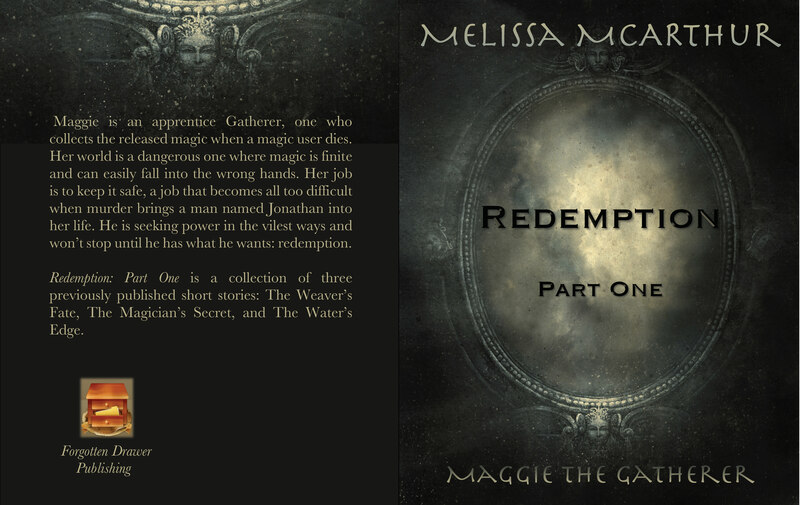 I’d like to announce that the first three Maggie stories — The Weaver’s Fate, The Magician’s Secret, and The Water’s Edge — will be available later this week in paperback! I chose to go ahead and publish them this way because so many people were asking about reading them but didn’t want to read the electronic version. I completely understand. I love the feel of an actual book as well. Here’s a look at the cover! Part Two will have stories 4, 5, and 6; however, I am considering not releasing any of those until I can do a collection of the three. I’m still figuring out the best way to do these things. 🙂 I hope to have that out by January 2016.